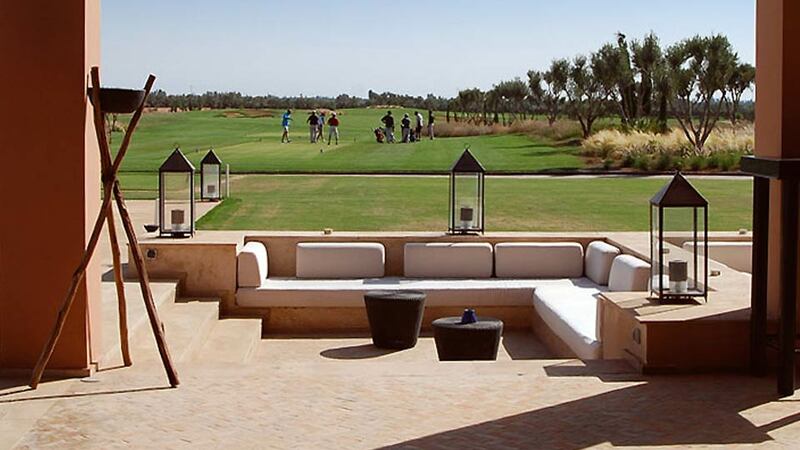 Riad Shems is part of the newly developed Al Maaden Golf Resort. 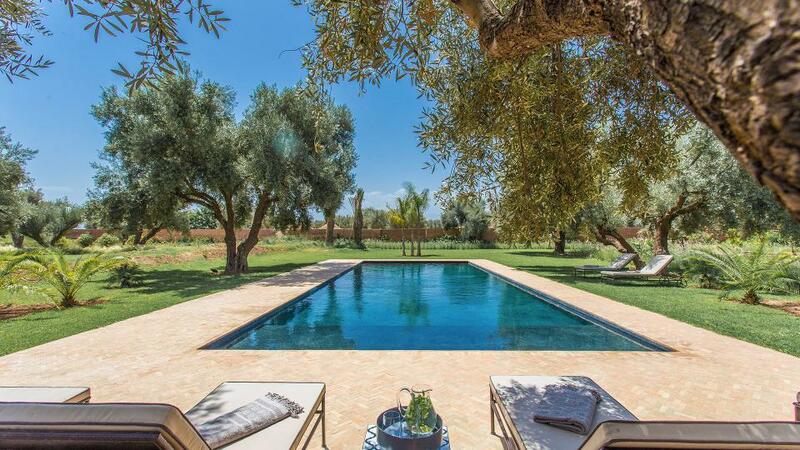 About 10 minutes drive from the centre of Marrakech and the airport, Al Maaden is a quiet haven away from the bustling souks with beautiful gardens filled with olive trees, oranges and bougainvillea. 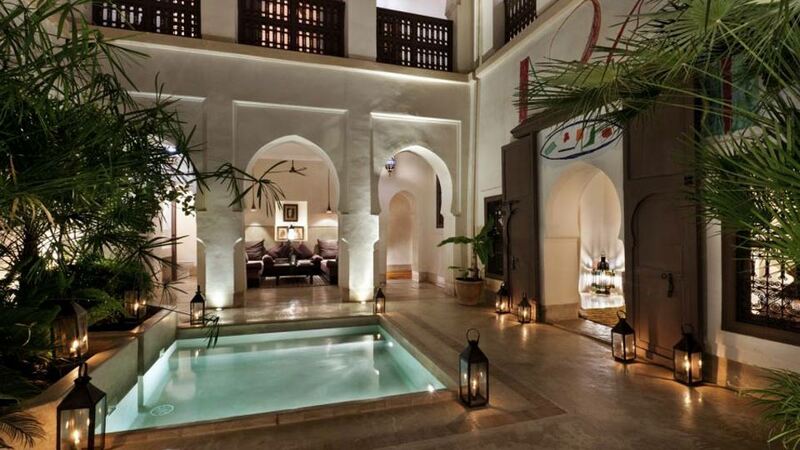 Riad Shems has 4 spacious double bedrooms, all with ensuite bathrooms. 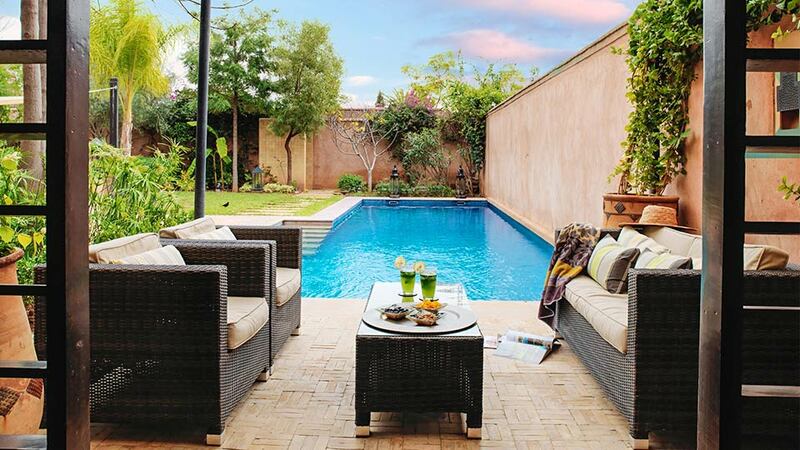 As typical of traditional Riads it has been designed around a central courtyard, with a pool and a large roof terrace with dining area, chill out zone and kitchen/bar. The house is fully air conditioned. Riad Shems was designed by the internationally renowned architect Didier Lefort, and is modern in style but maintains many classical Moroccan features. It mixes a blend of elegance and tranquility. 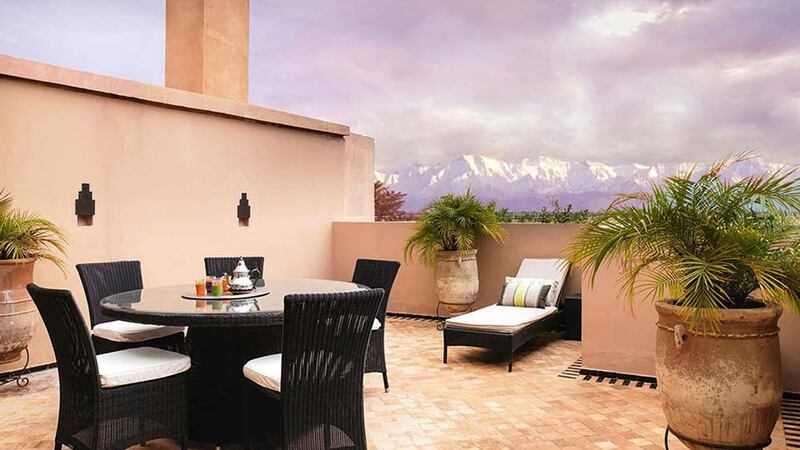 As one of the few frontline properties in the Medina it overlooks the golf course, with spectacular views of the Atlas mountains. The development has been designed to the highest standards. There is an 18 hole golf course. The Medina within Al Maaden has been constructed in a traditional Moroccan style to resemble a fortified village, with high rampart like walls and riads with gardens within. It is quiet and peaceful. The large walled garden is filled with trees and exotic plants. 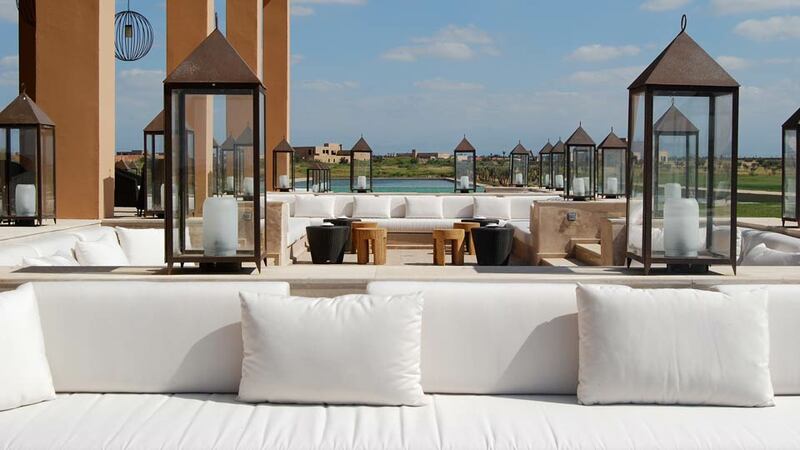 It holds a heated swimming pool and an extensive covered sun deck from where to enjoy the Moroccan sun all year. There are 4 spacious double bedrooms, all with ensuite bathrooms and a small maids suite. 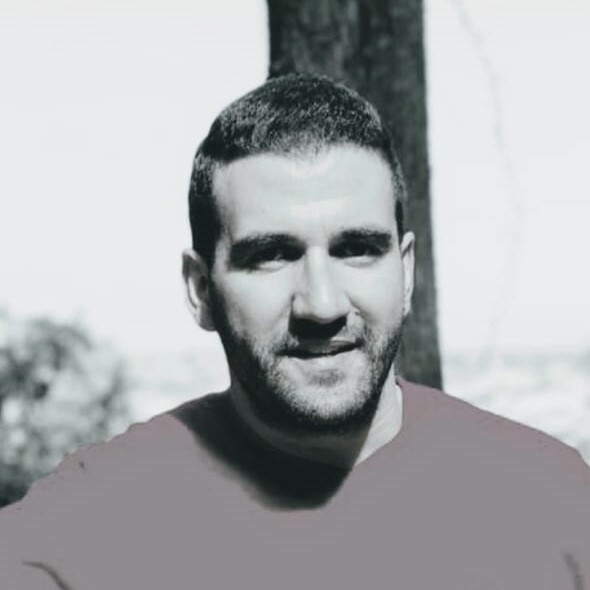 Riad Shems is staffed with a full time housekeeper who will cook all meals and clean the house daily.